The mob violence in Bulandshahr in Uttar Pradesh (U.P), on 3 December 2018, instigated and engineered with malicious intent, which led to the cold blooded murder of a police officer brave enough to step forward single-handedly to pacify the mob, marks the most dangerous turn yet in the direction taken by the politics of hate in recent times. It shows that in India’s most populous state, Uttar Pradesh, fundamental principles of governance, of constitutional ethics and of humane social conduct stand perverted. The Chief Minister of the state acts as a high priest of the agenda of bigotry and majoritarian supremacy – an agenda which now seems to take precedence over everything else. Why is this incident such a frightening indicator of the complete collapse of constitutional values? This is not the first instance of a situation intentionally created to foment communal tension. The history of U.P. is replete with such instances. This is not the first time that a policeman has been killed by a frenzied mob. This is also not the first time that the politics of cow protection has been used as a means of isolating and cornering the Muslim community and deepening the social divide. All this we have seen before but, so far, we had the confidence that whenever a political party actually forms a Government it keeps its partisan political agenda at bay and begins to exercise power with a sense of responsibility so as to gain wider political acceptability. The Bulandshahr episode, which follows a succession of events aimed at isolating and intimidating Muslim communities in U.P., shows that, under Yogi Adityanath, that confidence is misplaced and that hooliganism and thuggery have been mainstreamed into governance not just to intimidate minorities but to teach a lesson to anyone, including police personnel and others in the administration, who dare to be evenhanded in their approach to minority communities. While it may be premature to come to conclusions about the murder of Inspector Subodh Kumar Singh before the investigations are over, there is no doubt that there was nothing spontaneous about the violence that led to his killing, nor is there any doubt as to who the political elements were that aided and abetted the violence. This was a deliberate attempt to display majoritarian muscle and send a message to the Muslim communities living in the region that they have to live in fear, accept their subordinate status and conform to the cultural diktats of the majority community. Inspector Subodh Kumar Singh’s reputation of being independent and even-handed and his refusal to act in haste on the complaint of illegal cow slaughter that allegedly took place under his watch, was obviously seen as defiance of the majoritarian will. The local BJP and Sangh Parivar elements had already complained about his anti-Hindu conduct and sought his transfer. He was an impediment to their communal plans and had to go. Much as the Chief Minister may try to mislead by calling it an accident, this was murder with intent. It was murder most foul. World over, in any civilized society, the killing of a policeman is a more serious offence than any other crime, because it represents an assault on the very basis of that civilisation. It brooks no tolerance and even the most fractious of social and political groups come together to ensure that the perpetrators of such a crime are given exemplary punishment so that no one ever dares to attack the authority of law. In U.P. on the other hand we are witness to the entire administration, presided over by a Chief Minister who flaunts his bigotry as his badge of identity, preparing the ground not for bringing the perpetrators to book but for protecting them as defenders of faith and culture. This is the Rule of Lawlessness. Our colleagues in service, in the Police and the Civil Administration appear, with honourable exceptions, to have capitulated readily to this perverted political order. They seem to have forgotten that their primary allegiance is to the Constitution and the Rule of Law, and that their constitutional status provides them an armour of such extraordinary strength that, had they taken steps to check the growing menace of the Hindutva brigade, they could certainly have prevented the outbreak of violence. Instead they not only allowed these hooligans to grow in confidence and gather political strength, they helped them gain impunity in their lawless actions. .Even now if they – the Chief Secretary, the Director General of Police, the Home Secretary, the District Magistrate and the district police authorities – stand together to uncover the insidious political agenda, identify its masterminds and bring the hooligans involved in the violence to book, they stand a chance to redeem their pledge to the Constitution and live up to the expectations that citizens have of the higher civil services. Demand the resignation of the Chief Minister for his failure to abide by the Constitution to which he has sworn his allegiance. We know that this can happen, if together, we build a groundswell of public opinion by which we hold him accountable for his conduct and compel him to resign. 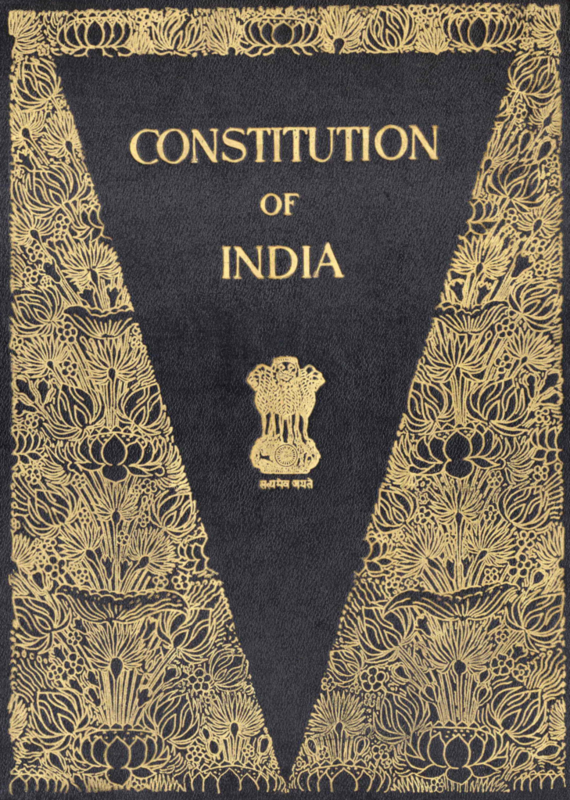 Remind the Chief Secretary, the Director General of Police, the Home Secretary, and all other members of the higher civil services concerned, of their constitutional duty to fearlessly implement the Rule of Law rather than the perverse dictates of their political masters. Request the High Court at Allahabad to take suo motu cognizance of this incident and order a judicial enquiry supervised by them to uncover the true facts, expose the political collusion, fix responsibility and recommend action. Work towards a citizen-led national campaign against the politics of hate and violence – in particular, the structural violence directed against Muslims, Adivasis, Dalits and women – violence which finds sustenance in the structures of political power. Salute Inspector Subodh Kumar Singh for his bravery in standing up for constitutional values and refusing to yield to political pressure even at the cost of his life and for setting an example to his children and the younger generation that values matter more than career success. We also acknowledge and applaud the dignity with which his family has faced this crisis and their quiet resolve to uphold the principles for which Subodh Kumar Singh sacrificed his life. His martyrdom will not be in vain. When ever you will align any political party you will be beaten like this. To oblige BJP you all have put hurdle for an honest Kejriwal. We have not forgotten Najib Jung one of signatory. Again you become united fake incident at his office. Than you have never spoken when Fukra Manoj Tiwari Slaps IPS officer, you have never protested when honest officer got transfer and humiliated by BJP’s gundy type leaders. It is not going to stop with murder of Subhod Kumar it going to follows more because you are speaking only after retirement. Why your companion in service not waking up. Truth should and would come out. Thank you for speaking out. Much needed .